This article is a review of the supplement Brainstrong Memory Support. This product claims to nourish the brain, support brain communication, and support blood flow. It also supports mental sharpness, focus, concentration, and memory. You will acquire more information about this product as you continue reading this article. Ginkgo biloba leaf – The product contains high-quality and highly standardized Ginkgo biloba. This ingredient is known for its ability to support mental function, attention, focus, circulation, and blood flow. It ensures that the brain remains healthy and functions properly. Choline (110mg)- Plays a major role in enhancing neurotransmission, supporting communication networks in the brain, and ensuring that cognitive functions are healthy. Users should take one caplet each day when taking a meal. A single pack of the product contains 30 caplets meaning that it can last for one month for a single user. One pack with 30 caplets costs $15.99 online. This is a low price compared to the price of most similar products in the market. This price may cause potential users to worry about the quality of the product. Users can sign up for a mailing list and receive a $3 coupon for the product. The coupon enables people to buy the product at a discounted price. It is somewhat concerning that the manufacturer of this product does not offer a money-back guarantee. The absence of a guarantee implies that users are not sure whether they will receive the value of their money. We did not find customer reviews to ascertain whether this product satisfies the expectations of customers. As a result, there are high chances that new users may have little confidence when purchasing this product. Based on the claims of the manufacturer, this product can support brain functions, memory, blood flow, mental sharpness, focus, and concentration. The product’s major strength is the strong concentration of the two major ingredients (Choline and Ginkgo biloba). These ingredients are known for their ability to improve brain health, blood flow, memory, and concentration. These abilities make it an ideal dietary supplement for aging individuals who lose some abilities such as focus and sharpness. The manufacturer also provides a dosage that is easy for users to understand. However, several factors might cause potential users to raise questions about the quality of this product. For instance, the manufacturer offers the product at a low price, unlike most similar products in the market. This price may cause quality-related issues. Quality concerns may also arise due to the lack of a money-back guarantee. Consequently, consumers may worry about what happens if the product does not work as claimed by the manufacturer. Furthermore, concerns may arise due to the absence of customer reviews that play a major role in helping new users to know whether the product is effective. Additionally, there is no information about the possible side effects. 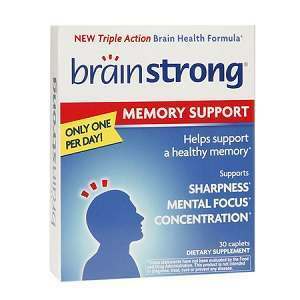 Henry Costa	reviewed BrainStrong Memory Support	on June 29th	 and gave it a rating of 2.5.